This past Wednesday was a holiday here in India, Ganesh Chaturthi, which celebrates the birth of the elephant-headed god Ganesh, who is revered for wisdom, wealth and prosperity. The festival in fact spans 10 days, but only one day is recognized as a formal holiday where banks and government are closed. My IBM office being closed I decided to go out and do some shopping – an activity I presume Ganesh would endorse. In one of the lanes of Koregaon Park I went into a small shop where I saw rugs. My flat here is rather sparsely furnished, and f occurred to me a small rug would be a nice first step in personalizing my new home. I spent 20 minutes or so looking at carpets, small ones on the order of 3’ by 5’. I saw a number of very nice silk pieces which had – as the shop-man declared – 1,000 knots per inch. I am not a rug-expert but my instinct told me these were higher-end products that I should research more before attempting to buy. I then fixed on the red wool piece you see above. 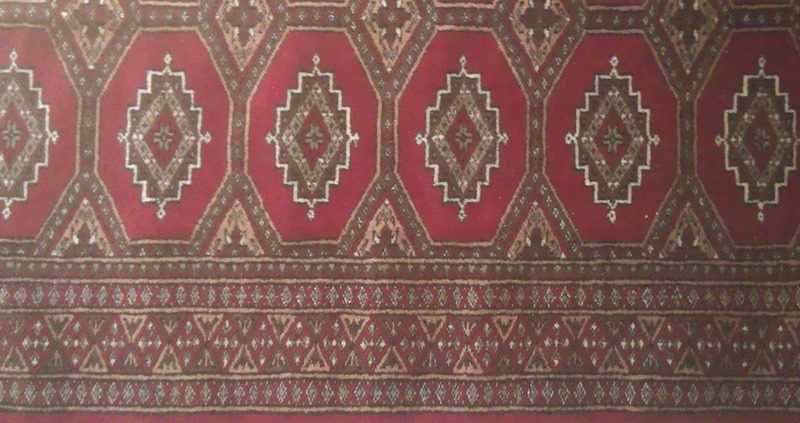 3’ x 5’, this is the well known Bokhara pattern. We actually have a rug of this type back home in the US. I am chagrined and smiling as I say, “9,500, done!” I had expected 11,000 as the next offer. Perhaps I could have started at low as 4,000. Nonetheless the rug is very nice – it adorns my flat entrance-way even now – and at $180 or so is a definite bargain compared to US,where I’d expect such a rug for $600 or more. Lesson: Bargaining, like golf, does depend on local knowledge – but ultimately the right price is the price that is right for you. 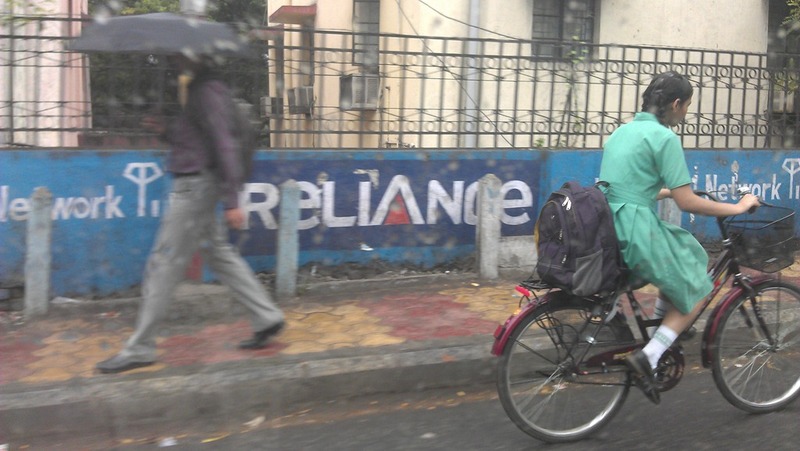 Two-wheelers are everywhere in India, certainly many more people have them than have cars. The most prevalent is the motorcycle-style Hero Honda, which comes in many models. There are also a great many scooter-style two-wheelers, like the Honda Activa. 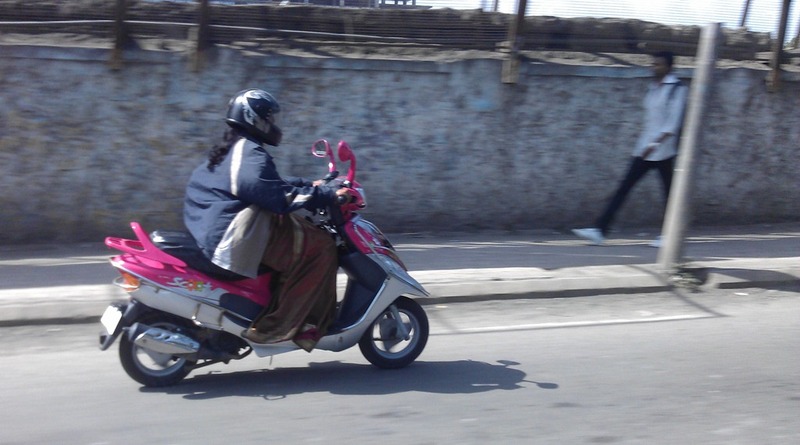 The pic above is a woman riding on her Scooty. Scooty is a women’s brand, and though you will see men and women riding Scootys and scooter-style two-wheelers in general, I have *never* seen a woman riding a motorcycle-style two-wheeler here. I don’t see many women riding about in the tight Ts and shorts you see in the commercial. More common is to be bundled up against the dust, rain and wind. A common sight here in Pune. This was about 9 am. The little girl seemed half asleep. 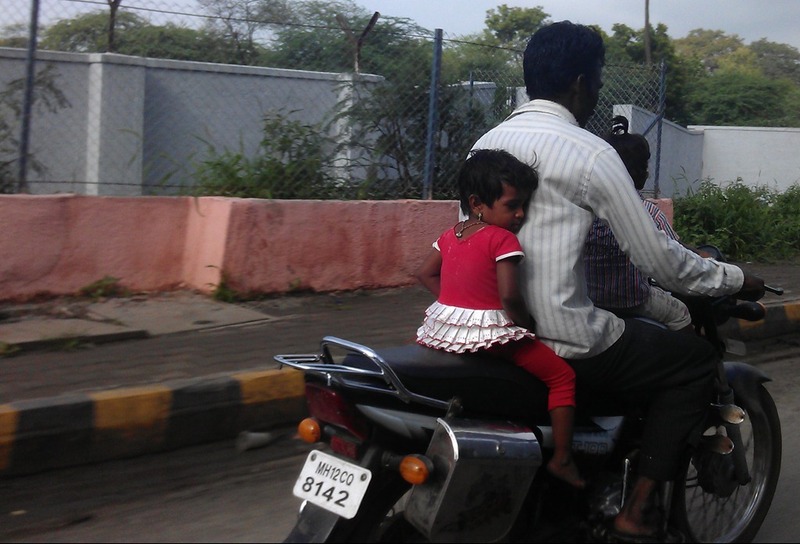 At a speed of around 30 kph she was drowsing securely up against her Dad. Today we talk about Salazar’s Second law of Expat Life (the First Law is, “Do not contradict the Indian Official”, but that’s another story). The Second Law: You can only eat so much microwave biryani. After a wait of some weeks I received my shipment of stuff from the US – this is a shipment my company allows me, so that you can bring household goods, etc. Included was an array of kitchen things: dishware, cooking knives, pots, pans, all of that. 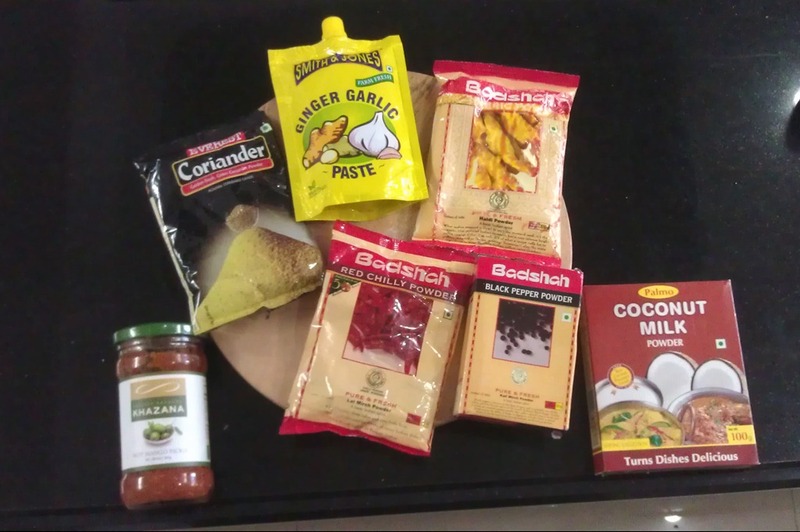 Once I got everything unpacked I was off to my local Spar Hypermarket to get ingredients. 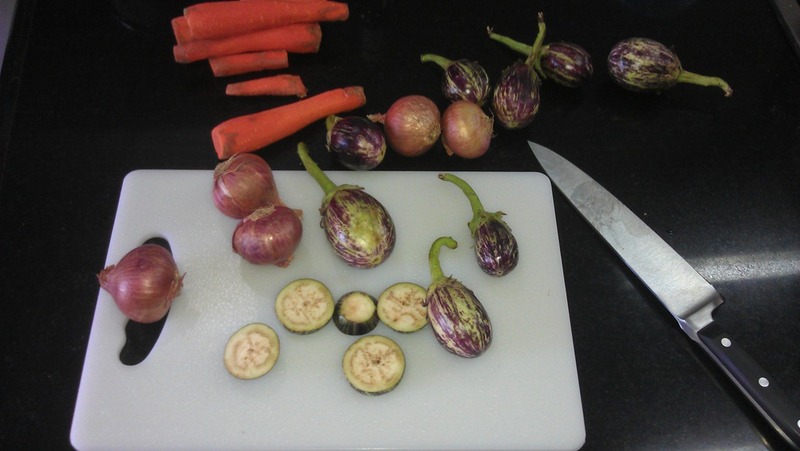 I sautéed all these with butter, salt and pepper, then added a bit of white wine and some ginger-garlic paste. 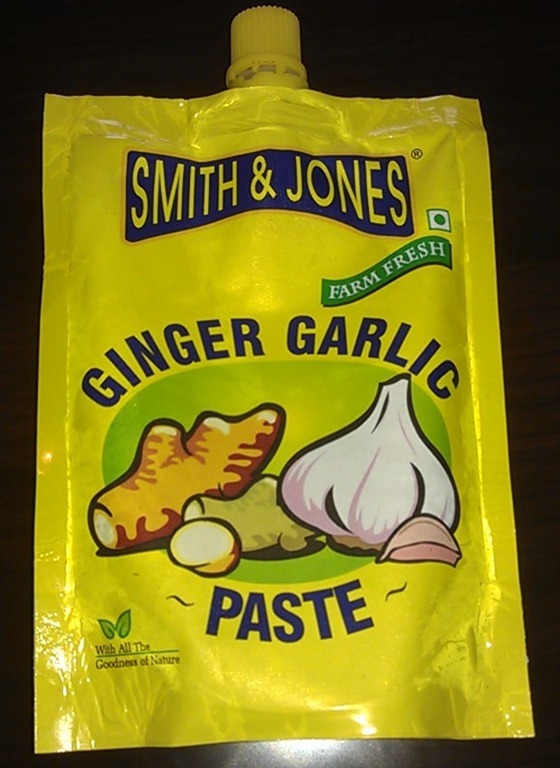 This stuff is good – if they had it in the US I would use it by the kilo. 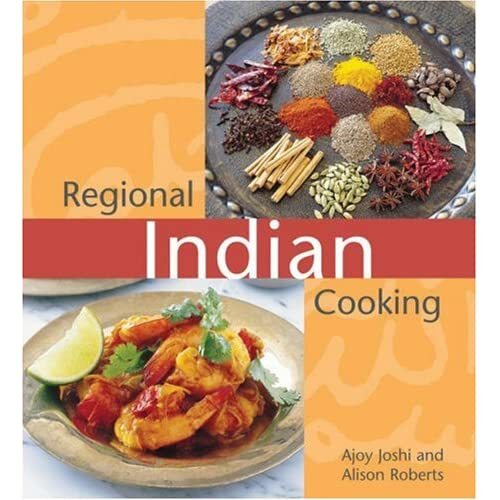 One of the things I like about this book, it classifies dishes by region. Marzwangan korma is a Kashmiri dish; Kashmir is about as far North as you can get in India. The seasonings in this dish include: Turmeric, Cardamom, Chili, Cinnamon and Tamarind. Making it is easy, first you kind of poach the lamb to cook it and give its first layer of flavor; then you fry the main spices, glaze the cooked lamb in the hot spice mix, then add a little of the poaching liquid and reduce it down again to let the glaze penetrate the meat. Sorry no pics of the end result … Once all this was on the plate, journalistic record keeping was the last thing on my mind. Suffice to say I am slave to the microwave no longer. This is the elevator where I work. US folks I’m sure will instantly notice the difference; the floors go up first on the left side, then restart and go up on the right side. 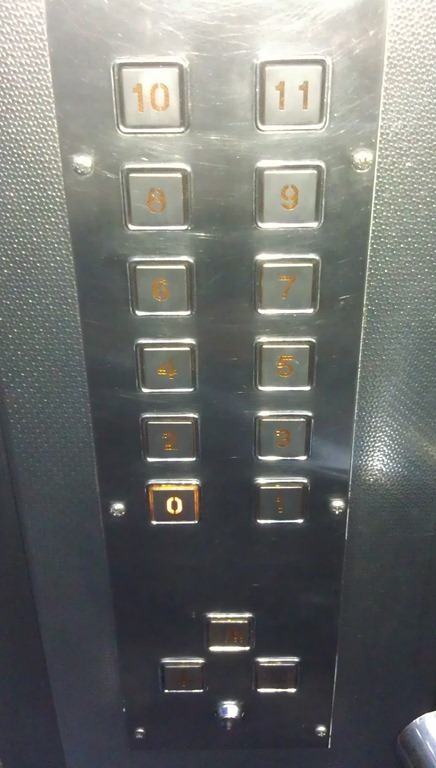 I have seen Westerners wanting to go to the 2nd floor mistakenly press 5, because it is to the right of 1. Elevators like this are in the minority here in India. This is the US style, where the numbers are arranged so that all the “higher” ones are at the top. Also notice it uses the Indian convention for actual numbering of floors. In the US the floor at ground level is called 1; in India that floor is called 0 or ground, and the 1st floor is what in the US we would call 2nd. Why is the ordering different? The US view would be that our ordering is more intuitive, that all higher floors are accessed by “higher” buttons. 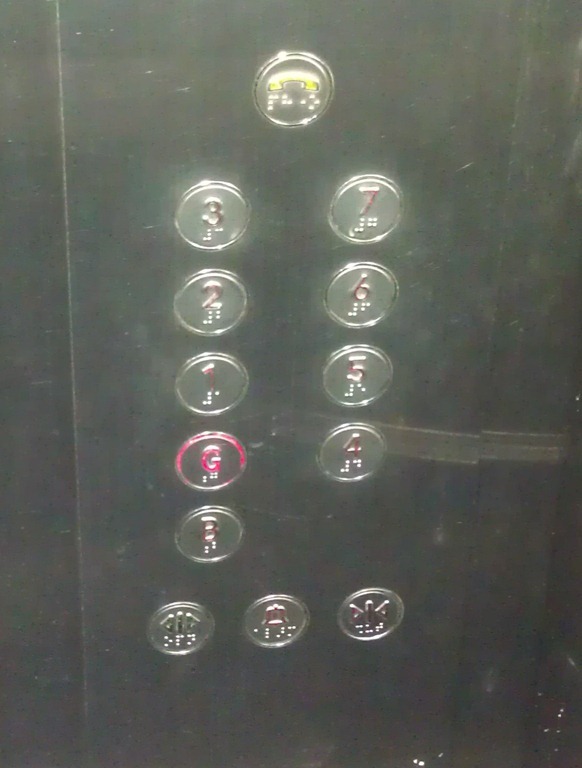 For example at my work elevator the button for 4th floor is lower down than the button for the 3rd floor. But calling that intuitive assumes several things. One is that we care about the physical height of floors. More and more the floors in an office or apartment building are abstract destinations, places you go to without knowing or caring about the physical relationship to the other numbered destinations … until, of course, the elevators aren’t working and you have to use stairs. Anyway it seems less clear to me nowadays that the height attribute has the power it once had. A second and probably more important thing is reading order. Indo-European languages are written to be read side-to-side. Traditional Chinese is written up-and-down. Many elevators here in India are in fact made in China, so I suppose this aspect of writing may be in play here. Conclusion: Look before you press. I saw this girl, riding her bike back from school a few days ago. I was in my car, but she was peddling resolutely through heavy traffic. I particularly remember her squinting her eyes to keep the rain out as she rode. I have finally been able to shop at Spar Hypermarket, walking distance from my flat. Yes, you heard correct, no mere “super” market but a hyper-market – shopping at this market ain’t like dusting crops, boy. I guess the hyper-market label is fair after all. I’ve passed many stores here in Pune proclaimed as supermarkets which were the size of an exceedingly small US drugstore. So relatively speaking, Spar is hyper. 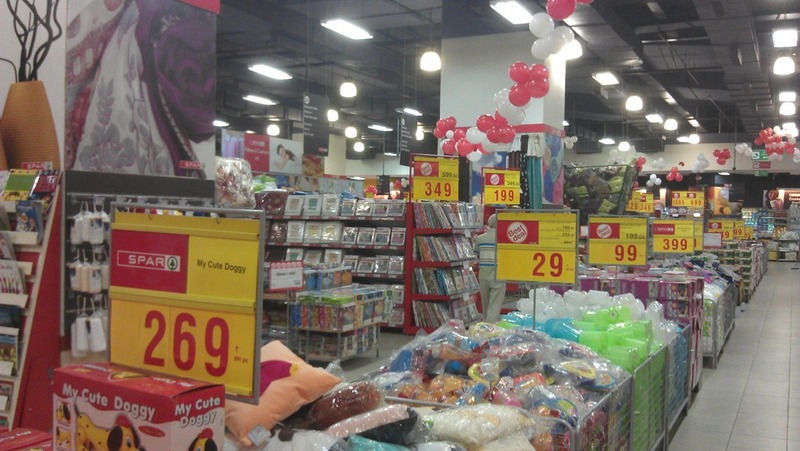 There’s a lot you can get at Hypermarket. Like a smaller version of a US Target or Walmart, you can get office supplies, small appliances, clothes, “crockeries” (kitchen goods), toys, hardware, sporting goods, and of course, food. Mainly I came for food – microwaving kebab a few times a week gets old, I wanted to get some actual food. What did I get? 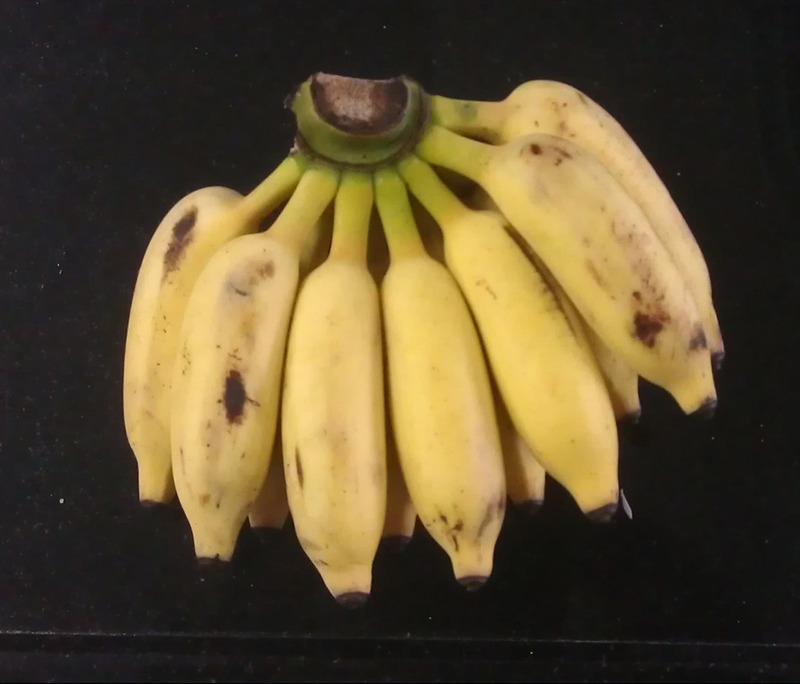 Simple stuff, actually, like these small bananas – they are really good – oranges, onions, spices, some brown rice, some pre-cutup chicken. Another vegetable I saw is bitter melon, a kind of tendril-skinned gourd. 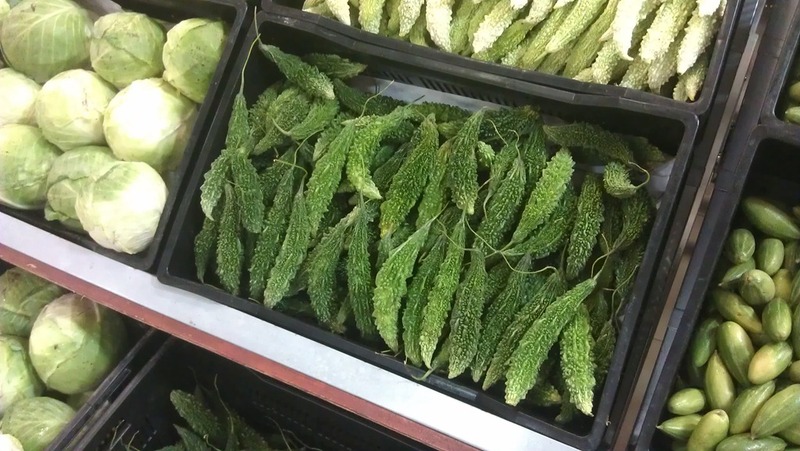 I’ve had bitter melon many times in Chinese food; the Indian variety seems a bit different. I’m sure I’ll try it, eventually. The meat they had there was not abundant. There were some whole chickens, and a few cutup pieces. Not sure why that was. The store was re-opening after being closed a long time, due to a fire – maybe the butcher shop is not yet fully stocked? 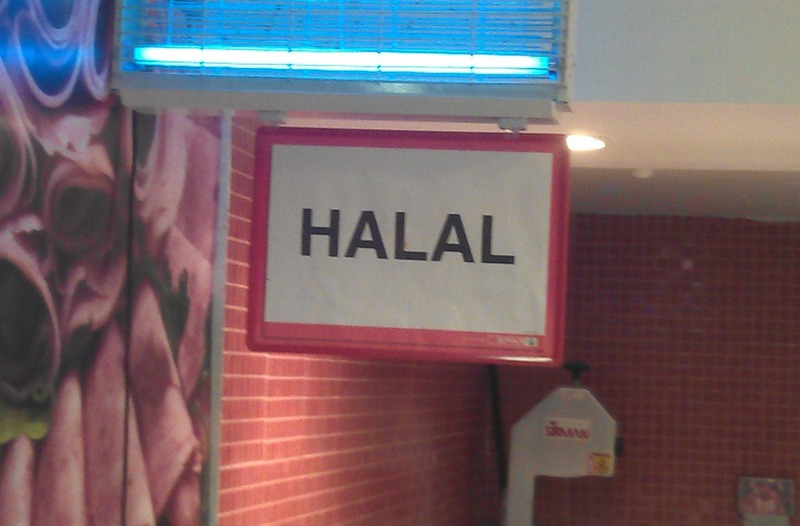 A portion of the meat counter was marked halal; this is meat butchered according to Muslim law. There was not a lot there, mostly some desultory lamb ribs and hoofs. Again, I hope there’s more next time. There’s also abundance of snacks, relishes and sauces – Indian and Western – as well as personal products, toothpaste, shampoo, etc. Prices on US products, for example Special K cereal, are not bad – approx $2.50 US per box. Hypermarket also let’s you buy many Indian staples, like rice and dal, in bulk; bulk rice is 30-40 Rs. per kilo. The result was a vaguely Thai-curried chicken, served with onion rice and hot mango pickle – all in all a meal I would have killed for in my university days. Hypermarket is the kind of place many middle-class Indians go to shop. But the vast majority of the population does their food buying from smaller shops, street vendors and the like. Those I will seek out as I can. Meanwhile, Spar is close, and has an excellent selection – home-cooking can continue as long as I can make the jump to hyper-market.